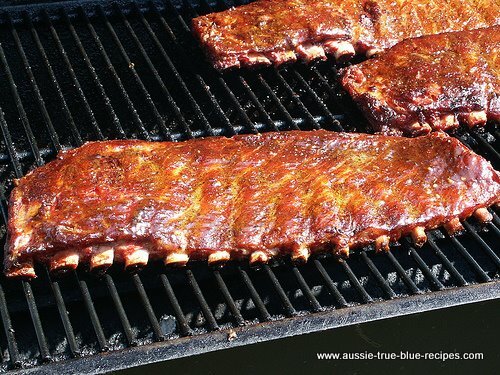 Place ribs in large saucepan of water. Bring to boil. Combine BBQ sauce, honey, vinegar, chilli sauce, five spice powder, dry sherry, soy sauce, garlic and ginger. Mix well. Put Pork ribs into baking dish, pour sauce over. Leave to stand for one hour, turning occasionally. 1. Bake in a moderately hot oven for one hour, basting frequently with the marinade. 2. Grill on a hot BBQ plate until cooked, basting throughout cooking time.